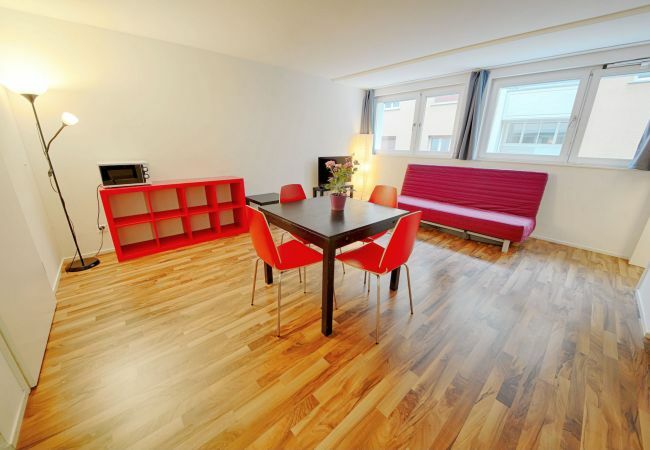 Beautiful, modern and stylish holiday apartment for four people in a central location. 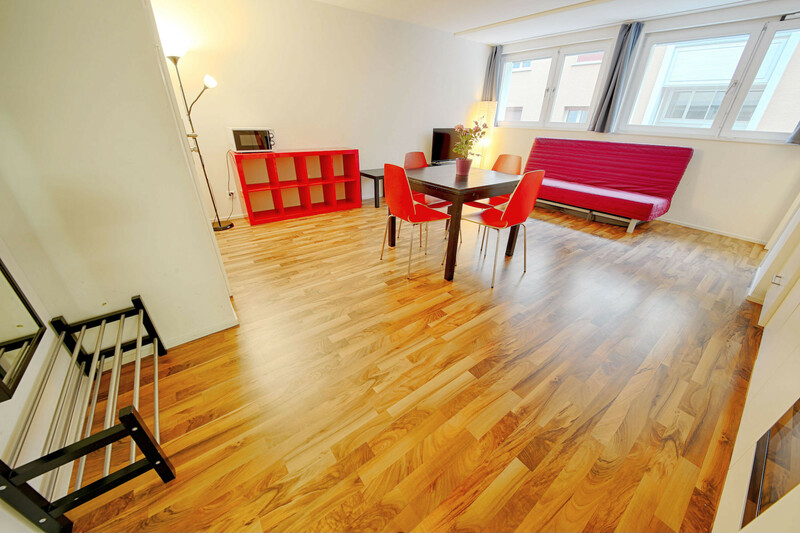 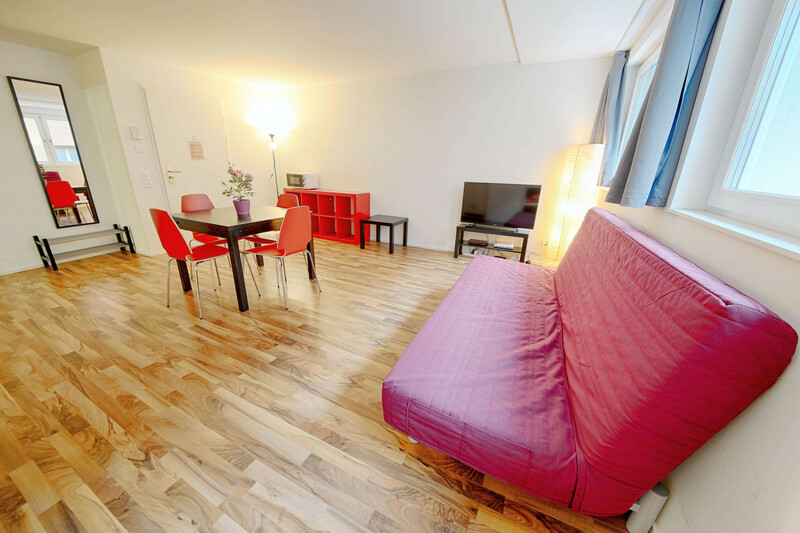 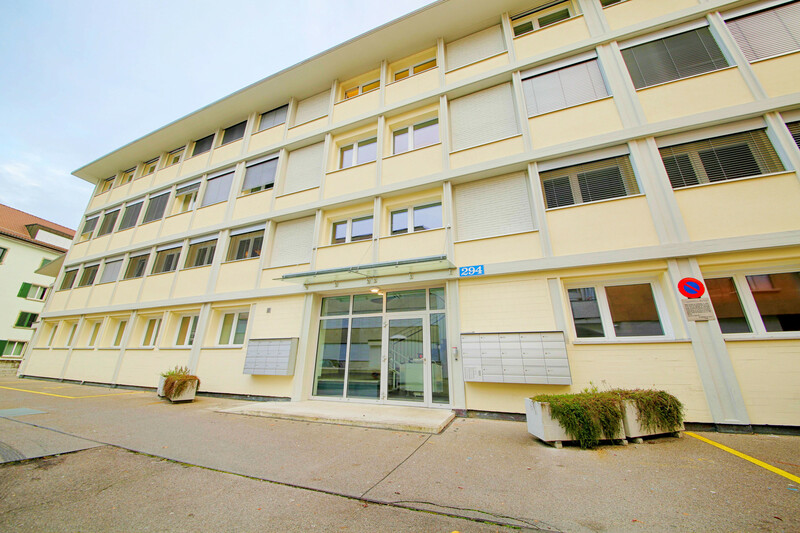 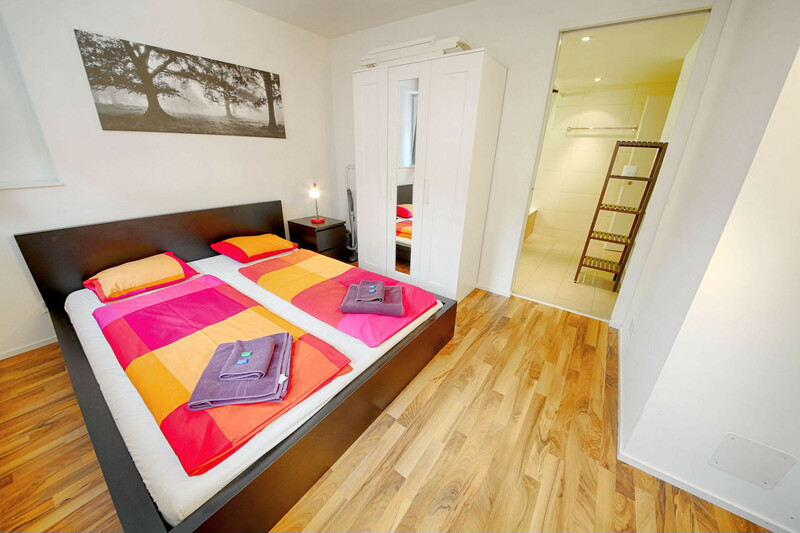 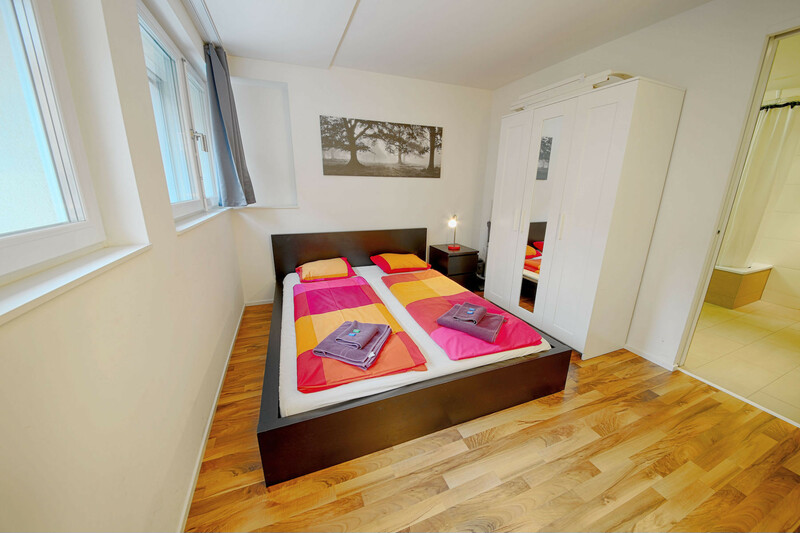 The holiday apartment called "Badenerstrasse V" is a perfect solution for your holidays in Zurich. 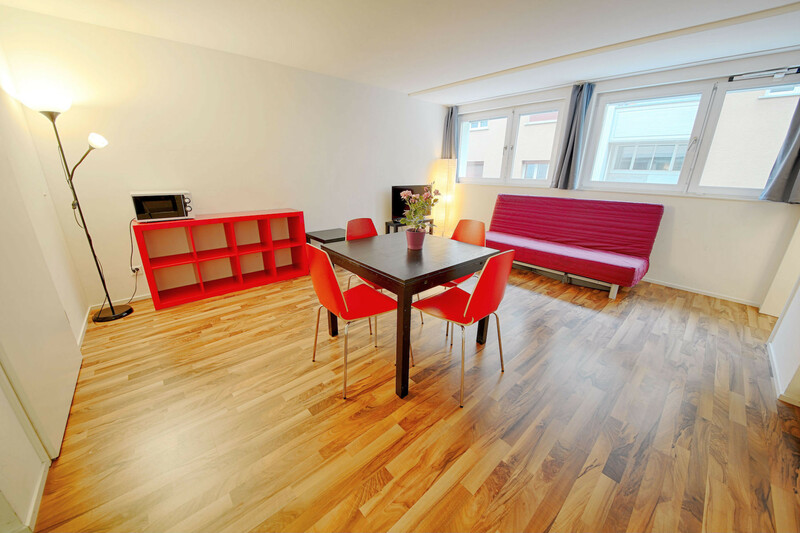 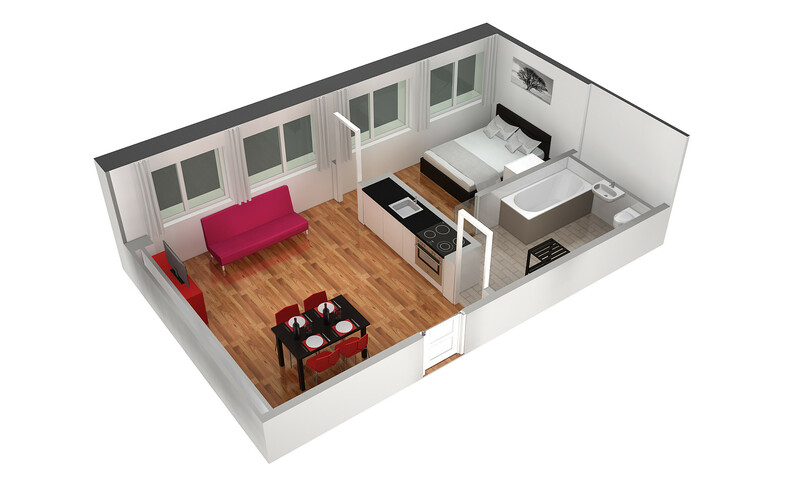 The apartment has 2.5 rooms and can accommodate a total of four people. 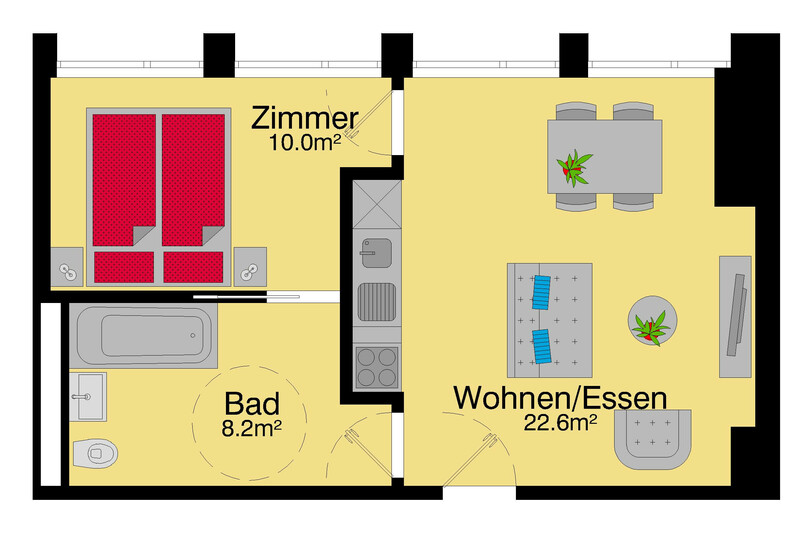 In the bedroom there is a double bed and in the living room there is a sofa bed for two people. 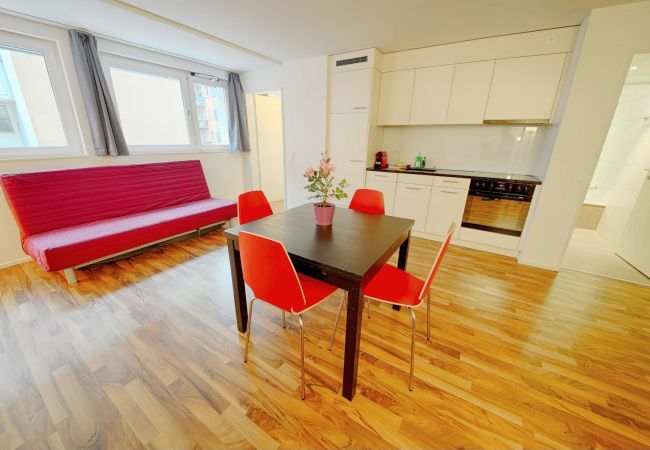 The stylish holiday apartment also has a fully equipped kitchen. 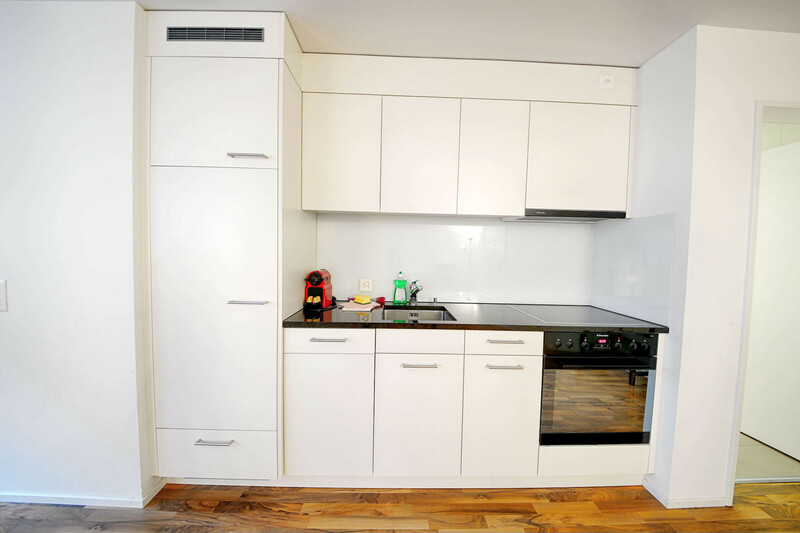 The following features are included: Stove, oven, refrigerator, microwave, dishwasher, kitchen utensils, crockery, pans and other kitchen utensils. 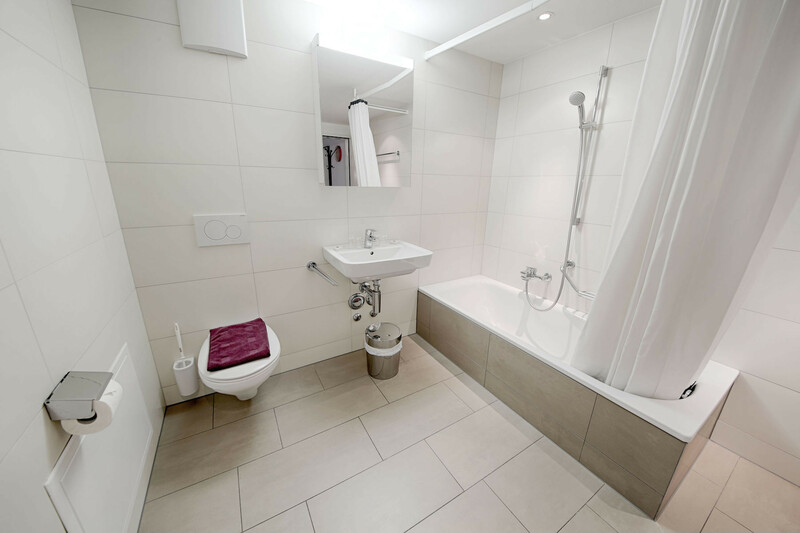 Of course there is also a private bathroom in the apartment. 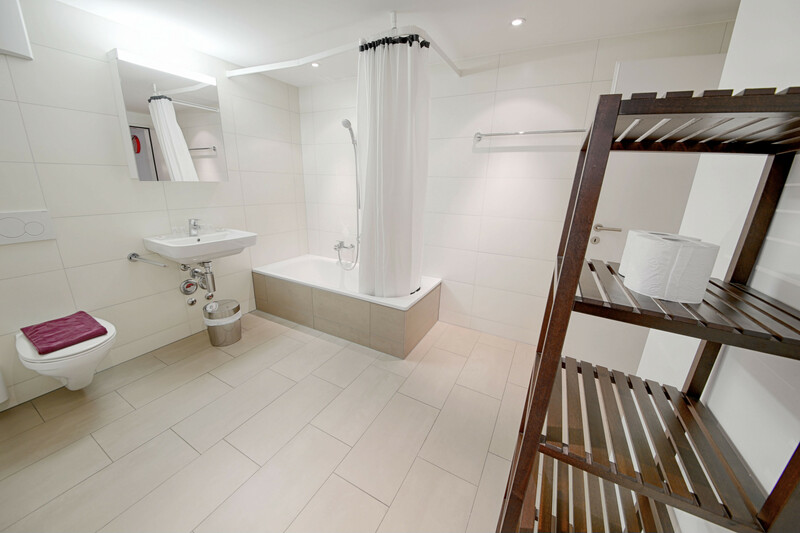 There you will find a toilet, shower, hair dryer and various hygiene articles. 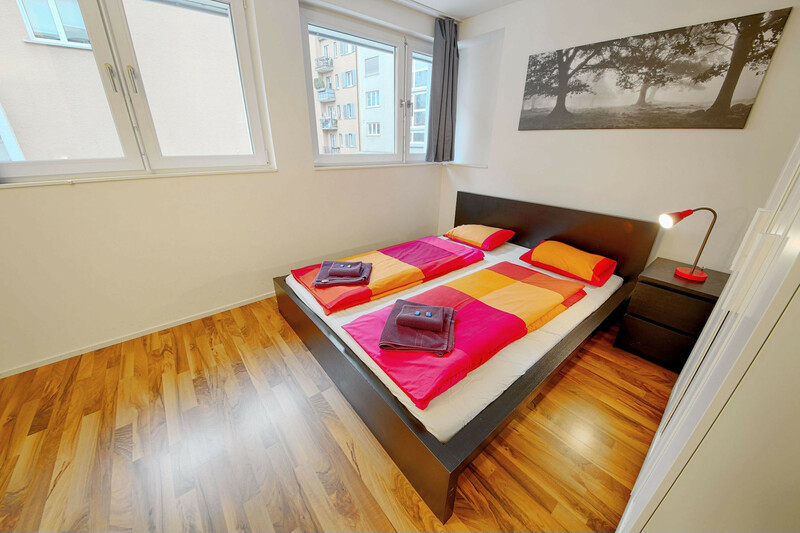 The following services are included in our service: Wi-Fi Internet, TV with international channels, bed linen and towels. 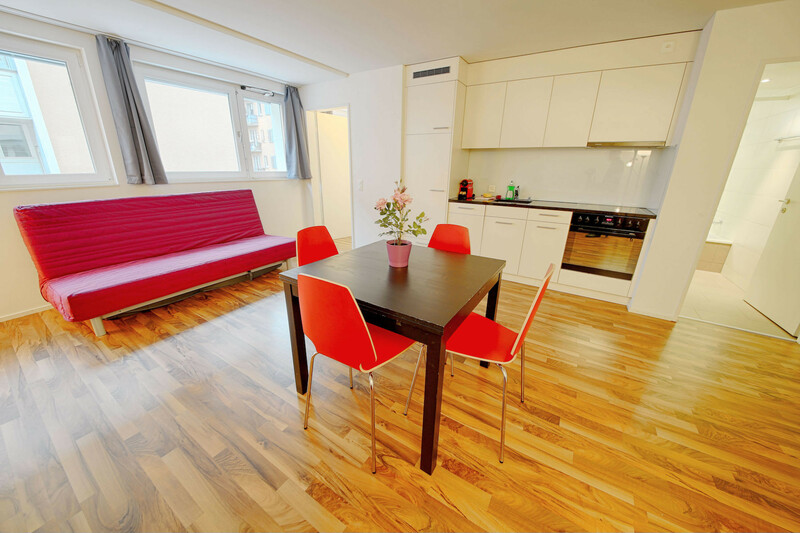 From a stay of more than 45 nights, a monthly intermediate cleaning is also included.